Expect 40% higher yields from this uniquely potent bloom booster! 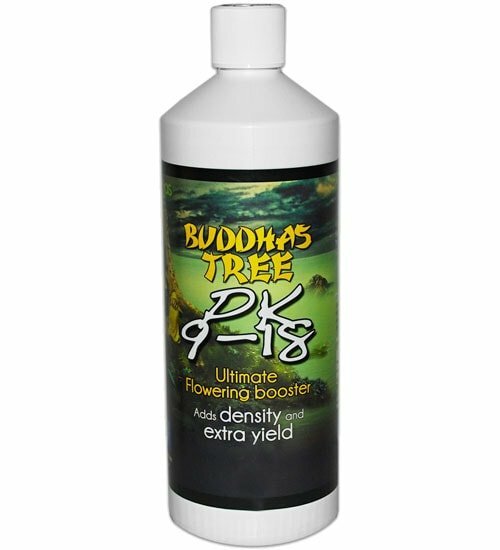 Buddhas Tree PK 9-18 has the highest levels of soluble and available phosphorus (P) and potassium (K) on the market. 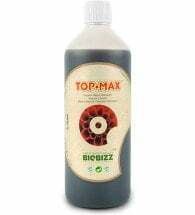 It’s special formulation — created by a world class biochemist — increases nutrient, sugar and oil uptake to augment your crops full potential. This product is NOT registered for sale in California, Washington and Arizona. Available in 250ml and 1-liter sizes. 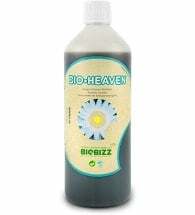 Hydroponics: Use 0.25 ml per liter of water beginning at the fourth week of the flowering phase; at week 5 until flush, use 0.5 ml per liter of water at each feed. 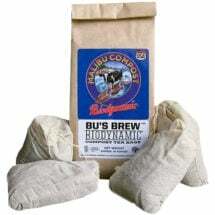 Soil: Use 0.3 ml per liter of water beginning at the fourth week of the flowering phase; at week 5 until flush, use 0.6 ml per liter of water at each feed.